SubRip is a program that allows you to rip DVD subtitles with their timing as a text file. The goal is to allow you to translate the subtitles in other languages, or just use them as they are. 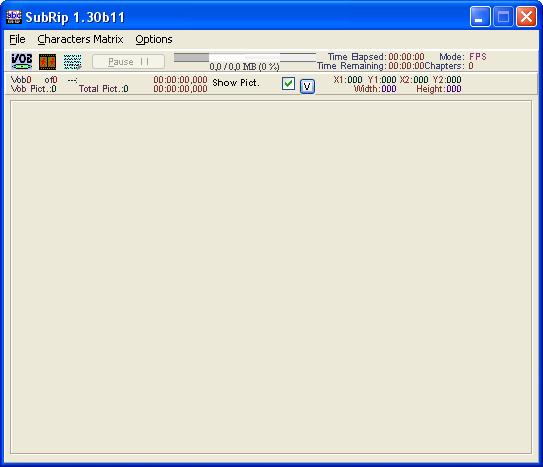 You can also rip subtitles as BMP in the goal of putting them on a SVCD or on a homemade DVD. I'm writing to answer the guy who likes the program but doesn't see the point. There are tons of situations people will find. In my case, I'm a student, and sometimes I need to analyze a movie. It's easy for me to search the text of the movie to find a quote I need -- that would be incredibly tedious if I had to scan through the movie. Works fine, priceless for foreigners. The best program IMHO to extract subtitles from DVD. Well nice program, but useless!!! What's the point here?